Knighted for his services to cricket in 1949, he remains the only Australian cricketer to receive a knighthood for services to the game. 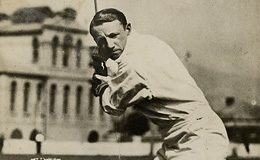 He retired from Test cricket with a batting average of 99.94, making his Test batting achievements nearly twice that of the nearest Test batsman. 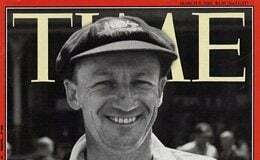 Don Bradman was born in Cootamundra, New South Wales, Australia, on 27 August 1908, but spent his early years in the NSW town of Bowral. At his Shepherd Street home he developed a solitary game where he would repeatedly hit a golf ball with a cricket stump against the curved brick base of the family water tank. Did you know that Sir Donald’s average in Test matches reached 50 with his 3rd innings, and stayed above 50 for the rest of his career? This is just one of the interesting facts and statistics you’ll find here. 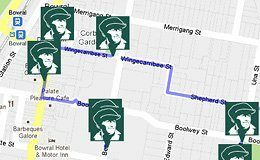 A great tourist attraction, this walk takes you on a self-guided tour of Bowral, visiting some of the historic sites associated with Sir Donald Bradman AC. The walk is 1.7km and takes about 45min.